Ingress was the flagship game of Niantic, a once-Google-owned company that has since spread its wings and branched out into games like Pokemon Go. But Ingress was the first geolocation mobile game of its kind; in fact, all of the original Pokestops were built on Ingress portals. Like Pokemon Go, when you download the Ingress Scanner app, it asks you to choose a side: Resistance or Enlightened. The story of Ingress is centered around Exotic Matter (XM), which filters into our universe from portals scattered around the globe. For those who are Sensitive to XM, exposure to it can foster bursts of creativity and innovation, as well as enhanced physical and/or mental capabilities. The Enlightened believe that it is only by harnessing XM that humanity will reach its true potential. But there is a Resistance movement who believe the so-called Shapers who control the XM are using it to Shape our minds to their own ends, and that they have been doing so throughout the whole of human history. Since the game first kicked off in 2012, it has been telling its story through an Alternate Reality Game, with all of the usual trappings: Character social media accounts, puzzles, real-world dead drops, you name it. The actors who play the major Ingress NPC’s even show up in-person, in-character to Anomalies and other Ingress events to interact with the players. One element that Ingress has added to its storytelling repertoire in the past year is tabletop roleplaying, and it was in this capacity that I was originally brought in. Every month or so, Ingress holds official events in cities around the world. At some of those events, attendees can sign up to participate in so-called Remote Participation Experiences (RPEs), which provides fans an opportunity to dice-up and roleplay in the Ingress storyworld. So one of the things I’ve been doing for Ingress is writing and running RPG modules for these events, including 2018’s massive Epiphany Night event at Camp Navarro in the beautiful redwoods of Northern California. Also on the docket for me is the writing of the core rulebook for the Ingress RPG for eventual publication. 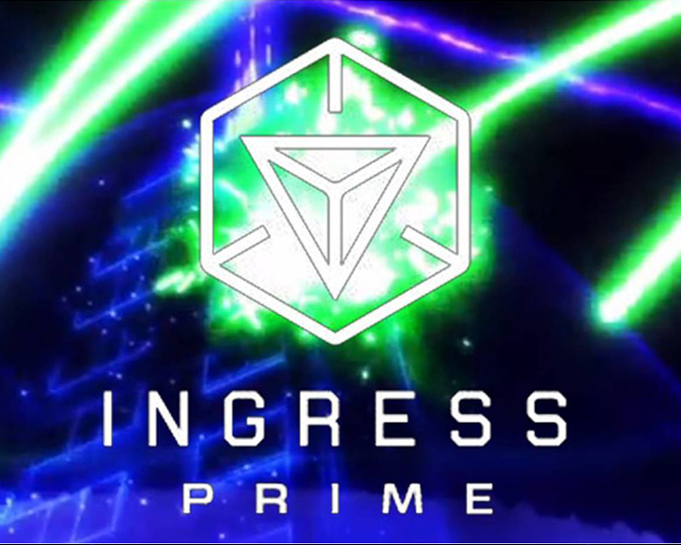 What’s more, as of Epiphany Night 2018, Ingress has rebooted its ARG, multi-verse style, to kick off Ingress Prime. They basically took the original inciting incident, set it in 2018 in another universe, and have since been exploring a different angle on the Ingress story. I will, in my ongoing role at Niantic, also be helping to shape this new iteration of the ARG going forward.